This is going to be a very short post. Just over 2 weeks ago I posted a review of the 50th Anniversary Special episode of BBC’s Doctor Who, one of the world’s longest running television shows. It was my first ever episode of Doctor Who and, in a nutshell, I quite enjoyed it. This past weekend, I made plans with a couple of friends to do a podcast together and talk about our experiences. Paul (blogger extraordinaire for the Hugo-winning SF Signal) and Sally (chief editor of The Qwillery) are both far more experienced Whovians than me, and they’ve been watching the show for years. We had a really great discussion and I enjoyed chatting with them about the show and the episode in particular. Of course, I listened to these two get into the nuts and bolts of various things more than talking about it, but it was fantastic. Always great to be able to discuss current shows with people. Sally was kind enough to upload the audio file of our chat to SoundCloud and get that up and running. So here is the link (and here is Sally’s own write-up). Hope it is a lively discussion. I have, admittedly, never seen an episode of BBC’s Doctor Who. A few years ago, back in college, I once made a list of some really popular SFF shows and at the top of the list was Doctor Who, but I was somewhat turned off by the fact that the show had been going on since the 1960s or thereabouts. I was rather clueless at the time and not much aware of the whole “seasons” nature of television shows in the western media. In India, television shows are broadcast 5 times a week for the most part and so the old-me couldn’t get around the concept of a show that had been alive for more than 40 years. And I didn’t really know any Whovians at the time either, so that was a factor as well. 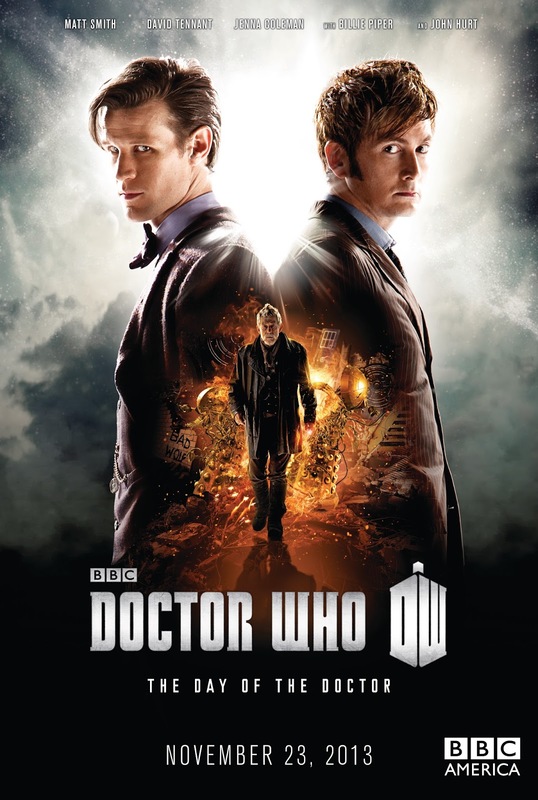 Recently I’ve had an urge to start watching the show, mostly because a large number of my friends on social media are from Britain and most of them are Doctor Who fans, aside from friends of other countries with similar interests. With the 50th anniversary of the show this year, I thought I’d finally get onboard the whole thing and so I decided to watch the 50th anniversary special yesterday. And it turned out to be a darn good episode, for a first timer to the entire franchise.